La Dame de Pic London is preparing for the busy Autumn season. The restaurant will be closed from 5th August and we are looking forward to welcoming our guests again from 29th August. 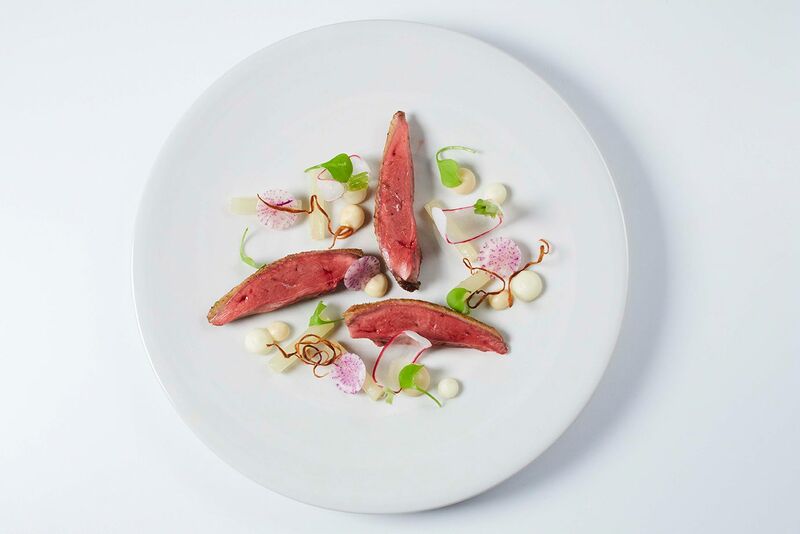 TASTE of La Dame de Pic London is back with a spring menu guaranteed to appeal to your senses. 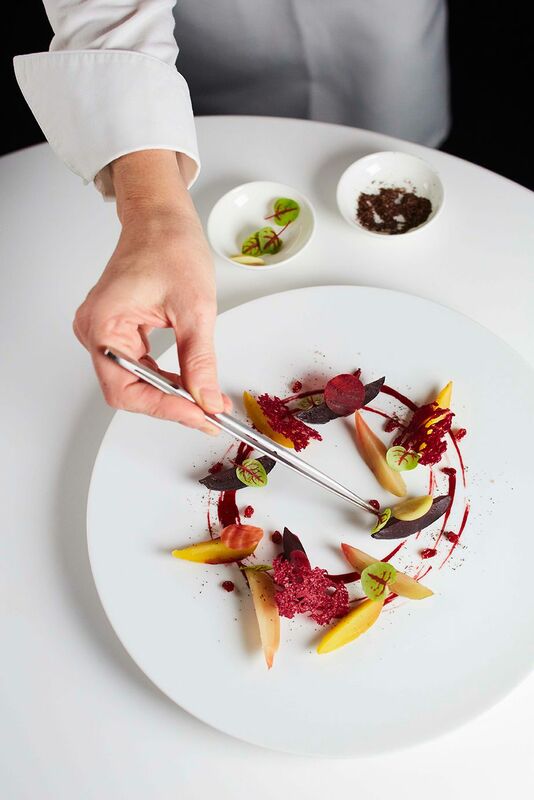 Showcasing a taster of Chef Anne-Sophie Pic’s unique culinary style, the new menu comprises five mini-dishes highlighting the key ingredients of the season. Available Monday-Saturday 6.30pm-7.30pm in the first section of the restaurant from £45 per person. A light wine pairing is available for £20. TASTE of la Dame de Pic London can be booked HERE. This year we are pleased to be celebrating 40 years of 3 Michelin stars with Maison Pic. The exceptional story of Group Pic began with Anne-Sophie’s grandfather Andre Pic, who was awarded 3 Michelin stars in 1934 when the Michelin Guide was in its early days. After the war, when Anne-Sophie’s father Jacques took over the restaurant, it had only one star remaining but in 1973, he lead the restaurant back to 3 Michelin status. After his sudden death, the restaurant lost its third Michelin star and it was not until Anne-Sophie took over the kitchen that she managed to regain 3 stars. Each member of the Pic family has achieved the 3 Michelin stars in their own right and with 7 years of 3 stars for Andre, 22 years of 3 stars for Jacques and 11 years of 3 stars for Anne-Sophie – this year marks the 40 year celebration of 3 stars at Maison Pic. La Dame de Pic London, will be opening exclusively for lunch on Easter Sunday from 12.00 – 2.15pm. The restaurant’s Easter Sunday Lunch will include a welcome cocktail and a three-course menu of seasonal dishes in Anne-Sophie Pic’s signature style, including a takeaway Easter gift for all guests. £55 per person (excluding drinks). As spring approaches and the days become longer, the first calendar event of the season – Mother’s Day – is just around the corner. 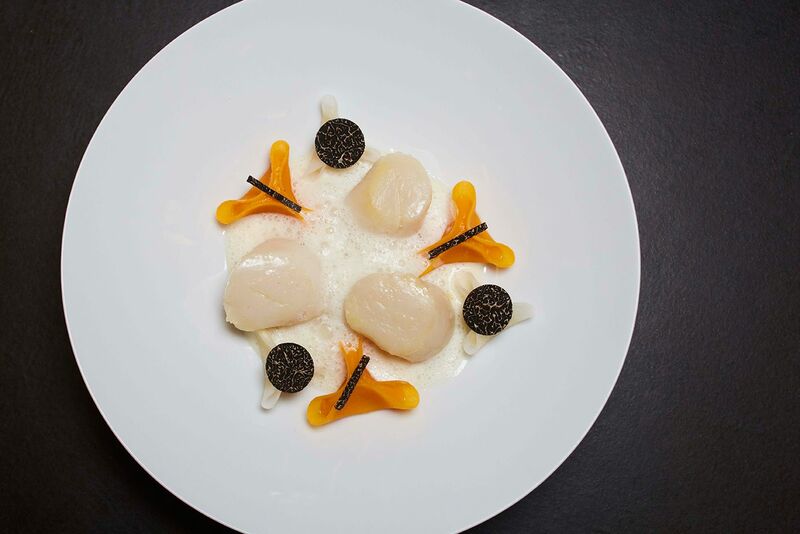 To celebrate, La Dame de Pic London will be open exclusively on Sunday 11th March for lunch. 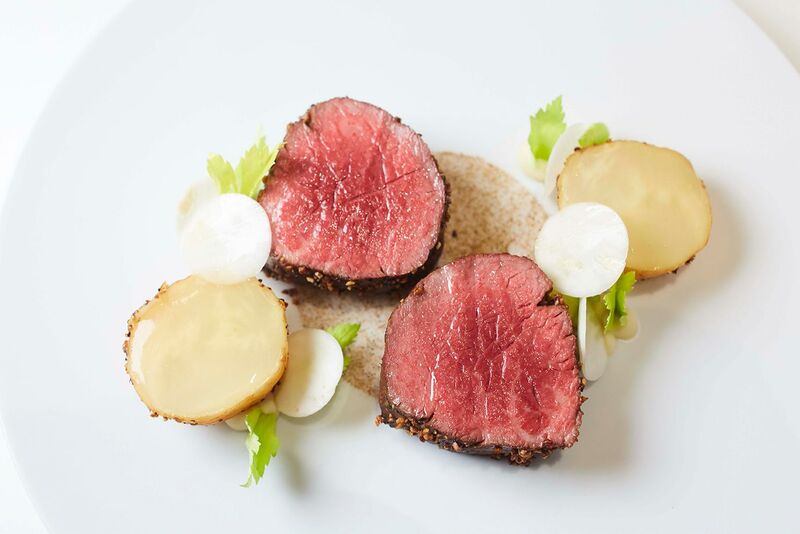 Treat your mother to a Michelin starred meal and a chance to spend some quality time together. The special seasonal Mother’s Day menu is priced at £55 per person. Come and celebrate with your loved-one this Valentine’s Day! As well as an exclusive six-course menu, we will be offering diners a special gift in the form of a beautiful Le Croc’Coeur® Cherie charm from stylish Parisian brand, Bettina à Paris. 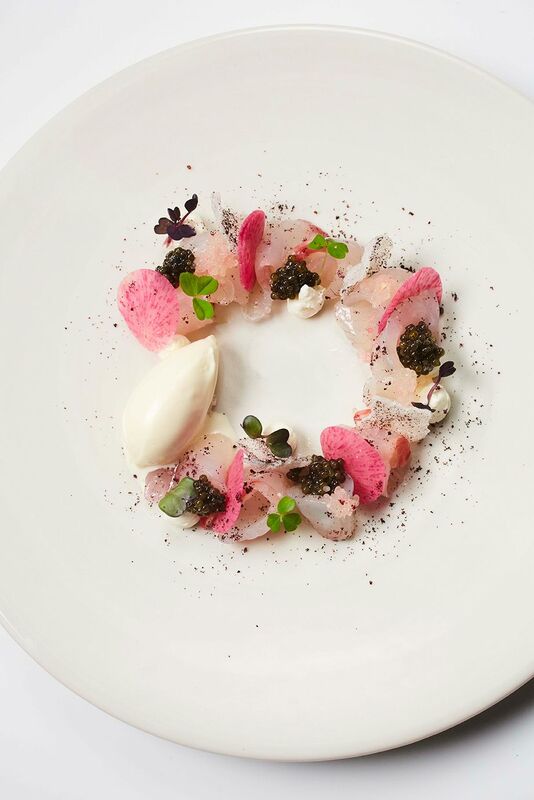 Available on 14th February, the menu will feature dishes such as Fine de Claire oyster with beetroot, black cardamom and lovage ice cream and Sea bass with Caviar, as well as a glass of pink champagne and a Rose Pavlova for dessert. The Bettina à Paris Le Croc’Coeur® Cherie charms gifted with dinner (one per couple) are handmade in France in premium crocodile leather and will be available in four colours: pink, red, orange, and coral. This January we are delighted to be celebrating our first anniversary! 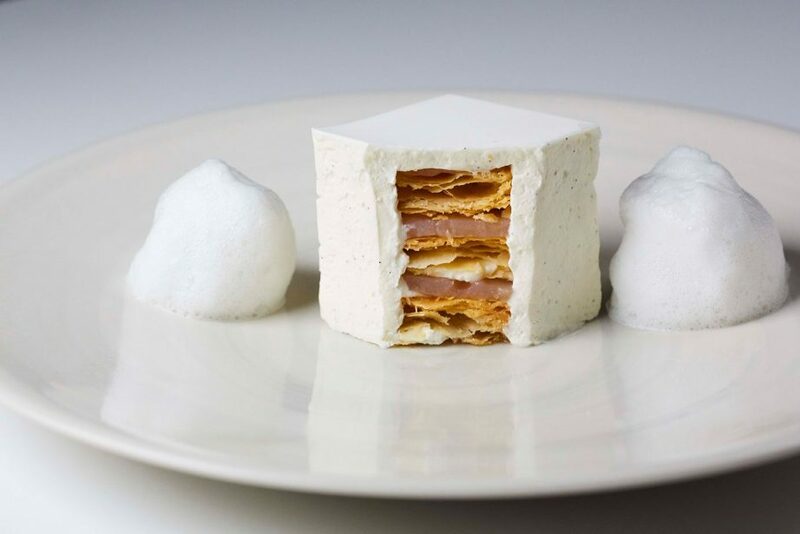 It’s been an incredible journey so far – not least the achievement of our first Michelin star – and we can’t wait to see what the next 12 months have in store for La Dame de Pic London. To celebrate, we are offering a special anniversary menu for one night on 25th January 2018, with a selection of Anne-Sophie Pic’s signature dishes from the restaurant. Join us to celebrate one year of La Dame de Pic London! From 1st January 2018, early diners can enjoy an exclusive new early evening menu at La Dame de Pic London. 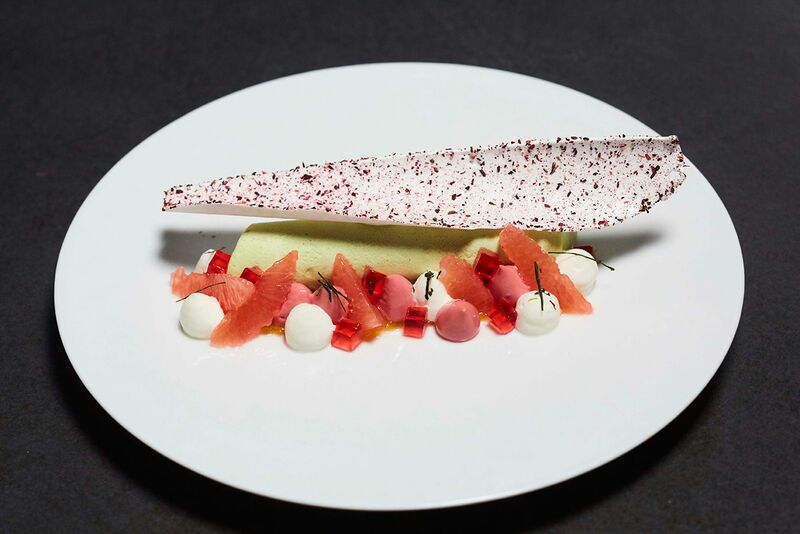 Offering select dishes not available on the a la carte menu for a limited number of seats, Taste of La Dame de Pic London will be available in the first section of the restaurant from 6.30pm – 7.30pm only from Monday – Thursday. Pineapple, ginger and cardamom chutney or Artichoke Acquarello Risotto, Pantelleria capers and aged gruyere. Taste of La Dame de Pic London will be available from 1st January at £45 per person. Bookings are strongly recommended. With their delicate aroma and flavour, there is no question as to why white truffles are so popular! Available for only a short season each autumn, we are pleased to be offering white truffles as an addition to many of our current dishes. Come and visit us and enjoy this delicacy whilst you can! On the menu, dishes that can be enhanced with a serving of white truffle are identified with an asterix (*). If you would prefer, our kitchen team would be more than happy to prepare simple dishes such as risotto, pasta or eggs, please just ask your waiter or waitress. We’re delighted to share that only eight months after opening La Dame de Pic London we have achieved our first Michelin Star! 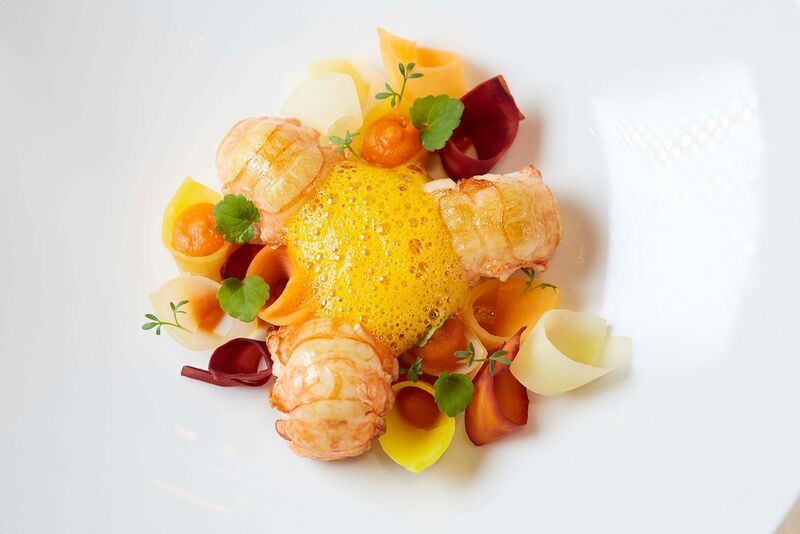 Celebrating this highly acclaimed award, La Dame de Pic London joins Anne-Sophie Pic’s portfolio of Michelin-starred restaurants in Valence (***), Lausanne (**) and Paris (*). Over the next few weeks we will be celebrating the wines of the Rhone Valley with a special menu, available by the glass. Our Wine Director, Jan Konetzki, has selected ten of his favourite wines from the region, ranging from £7.50 per glass. Join us to sample some of the regions finest wines.